If you chose a glass backsplash for the kitchen and decided to refer to us, then you can consider that it is already made. You should not expect any difficulty or unpleasant surprises. The only thing that can seem difficult is to make the choice of design. 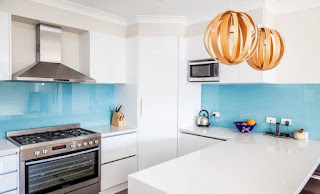 Indeed, a glass backsplash is not only a functional part of the kitchen furniture, which protects the wall from pollution. 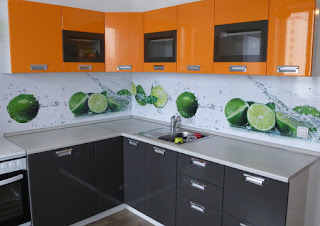 It is also an element of decor, which allows you to create the unique style of your kitchen. 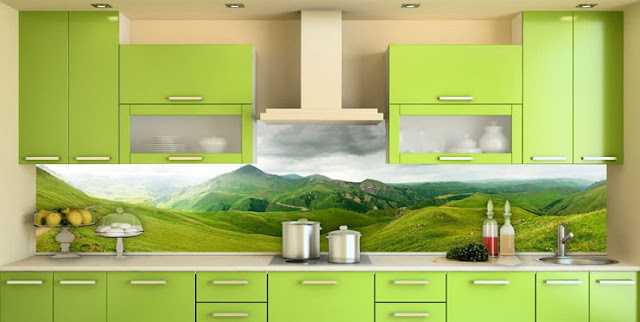 It must at least not disrupt the overall harmony and design, but also it should complement and decorate the kitchen furniture. Therefore, we recommend starting the selection of the desired image beforehand so that it can please you for many years. The appearance of the backsplash is determined by the general design of the kitchen and personal preferences. To date, there is an infinite number of colors, graphic patterns, drawings and landscapes used to make such a product. The image can be applied with a special film, by printing on glass, etching, etc. You can also choose transparent or matte glass, or even embossed patterns. The product may also be monochrome. If the kitchen furniture is made in one color, it is desirable to choose a slightly different color for the backsplash. Then it will be the highlight of your kitchen. If you want to set the kitchen backsplash in the color of the furniture, the picture will look better than the one-color background. Your personal taste is the best guideline when choosing a kitchen design. So do not limit yourself in ideas and experiments. You can choose bold combinations of colors, any styles, imitation of other materials, built-in lighting, your hobbies and preferences, and even humor – just everything that you want.